Duck, Duck, Goose. 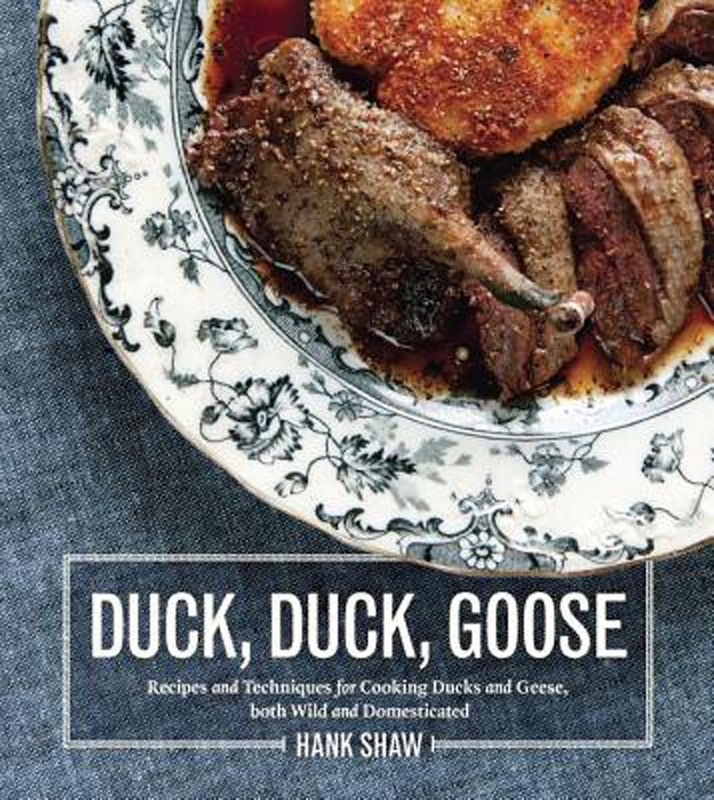 This is Hank Shaw's newest cookbook... can you guess what it's focus is? Hank is famous for his wild game recipes, and this is out just in time for duck season! 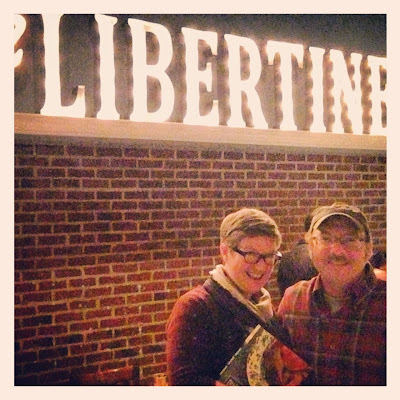 He came to St. Louis to one of my favorite restaurants, The Libertine, to promote Duck, Duck, Goose a couple weeks ago. Chef Josh Galliano prepared a stunning menu for the event, and Hank was so gracious, stopping at every table to converse about his book and food/cooking. What a great night! Speaking of books, I have (SLOWLY) been unpacking boxes of books, and I found one of my favorite thrift-store scores ever: The Mafia Cookbook. 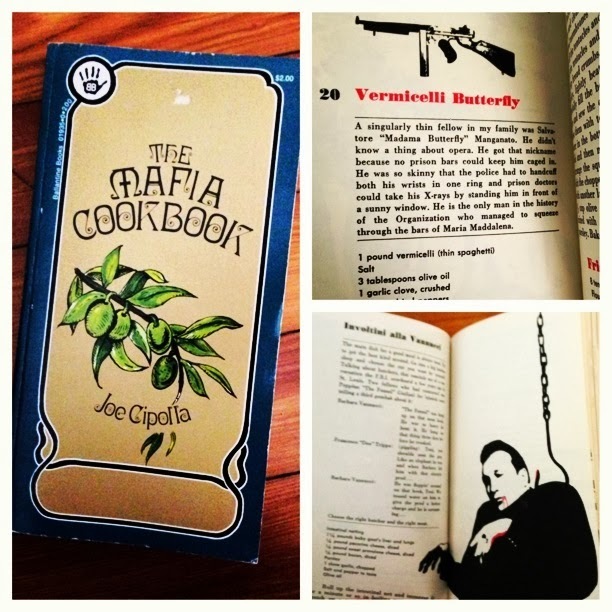 It's filled with Italian recipes, many of which are named after mobsters and are accompanied by mafia stories and/or related Illustrations. As a long-time fan of mafia movies (I went to film school specifically to make an epic gangland flick... I obviously gave up :( ), I am determined to post a recipe from this here on the blog soon. This seems to be a pretty rare book, as I can't find any available online. Post by A Periodic Table. My fellow St. Louis food blogger, Shannon of A Periodic Table, posted this vine of blue cheese-topped, prosciutto-wrapped, broiled fig newtons. Um, brilliant. I made them for a party and they were dreamy... fun, quirky, and they paired great with Zinfandel. Yum! 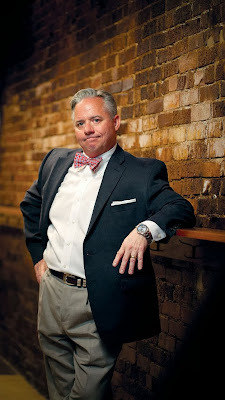 Photo via St. Louis Magazine. So Dashing! I am very excited for some friends of mine. My highschool BFF Cathy and her husband John are opening a restaurant! Check out this great interview with John about Three Flags Tavern. You may remember John from when he did a special Iron Stef Dinner at the last restaurant where he was the chef. I have the pleasure of helping out with some of the graphics for the new place... how invigorating to be part of the birth of this neighborhood destination! 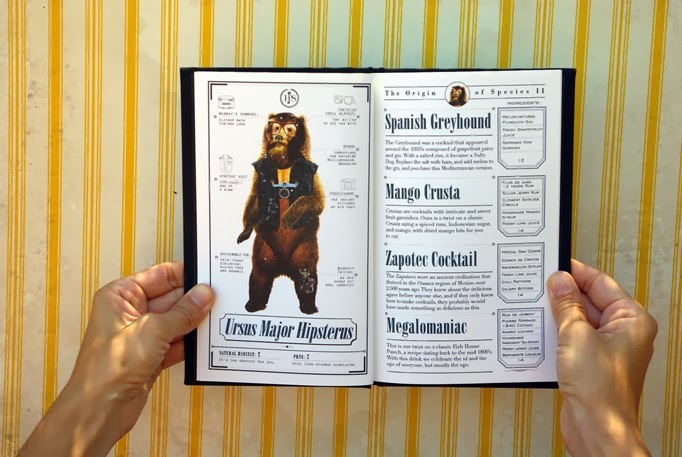 As part of the above-mentioned design work, I've been browsing one of my favorite sites, Art of The Menu... it's dedicated to menu design and I could explore it's depths it all day! 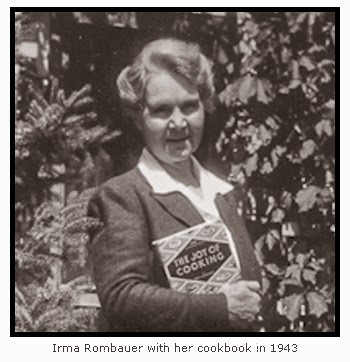 Meet Irma Rombauer, the author of the iconic cookbook The Joy of Cooking. I did not know she was from St. Louis!! This write-up about her by my friend Cameron on his blog Distilled History is so cool! Time to crack open my copy again! 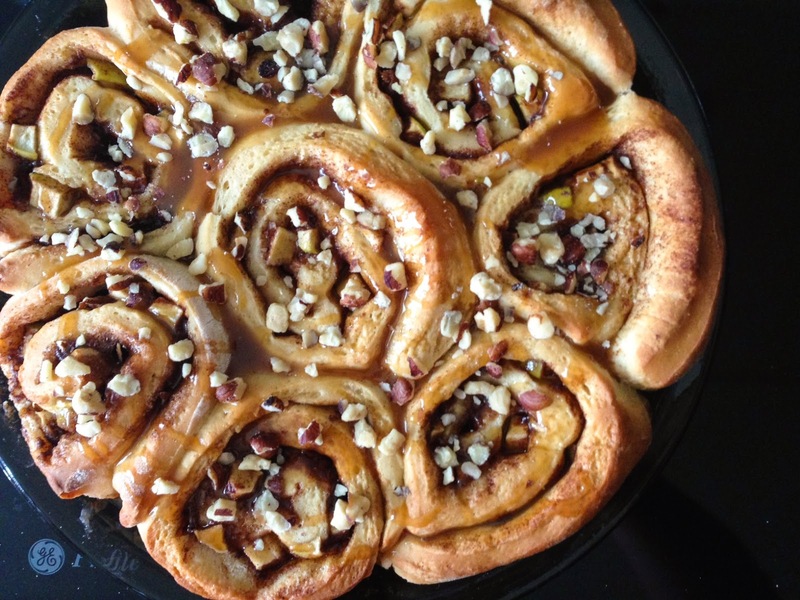 CARAMEL APPLE CINNAMON ROLLS. Holy hell. I made these based on Gimme Some Oven's recipe and they are my favorite breakfast of the year. Not only are they delicious, there is something so satisfying about making cinnamon rolls from scratch. Go get the recipe here. BTW... they freeze well (once baked and cooled). • Dianne Jacobs lists verbs Julia used. 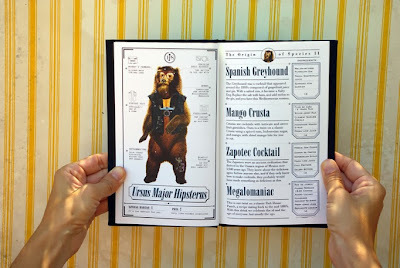 A fun resource for food/recipe writers! • An interesting article about why NOT to juice. I suspected as much! • For their first date, this couple went on an international trip with nothing but the clothes they were wearing, their phones and credit cards. Crazy cool! Could you do it? Everything is pumpkin-pie-spiced now. EVERYTHING. JEEEZ. 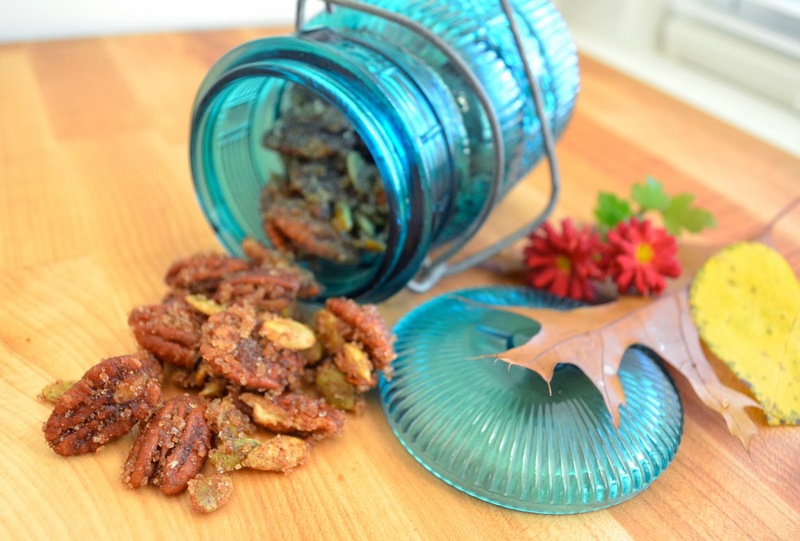 So here's another for your pumpkin pie pinterest board...Pecans! 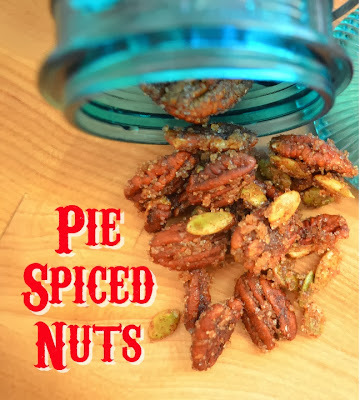 I find pecan to be a superior pie to pumpkin *ducks*, but I do love the blend of warm spices typically found in pumpkin pie. What if I married the two? I also added some pepitas to the mix... because they are pumpkin seeds... see what I did there? 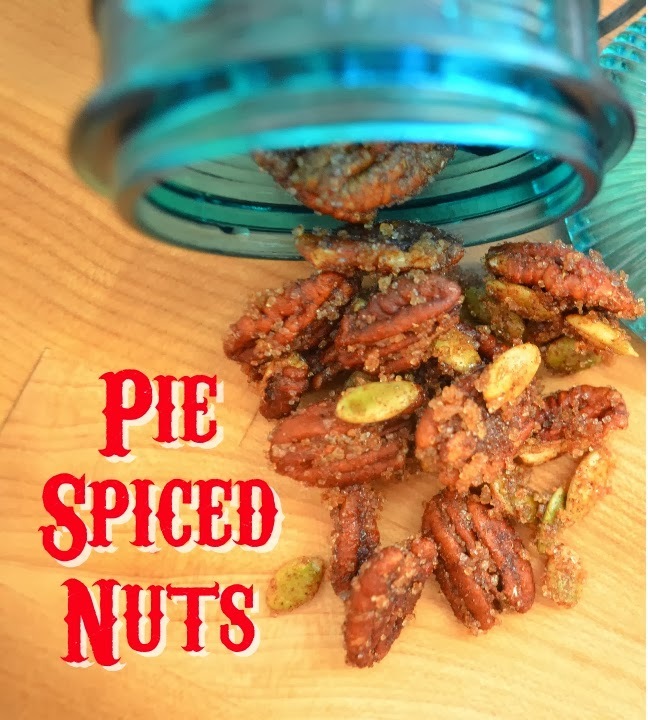 These would make a great gift for the holidays... the tastes of every one's favorite pies in a form you can eat anytime, anywhere. These really are reminiscent of a decadent pie... you will not want to stop eating them! Toast the nuts on a parchment-lined cookie sheet in a 300ºF oven for about 20 minutes, until slightly browned and toasty tasting. Meanwhile, mix the sugar and spices and salt together in a big bowl. Once the nuts are toasted, heat the water, honey and vanilla in a large skillet until heated through, stirring or whisking to combine. 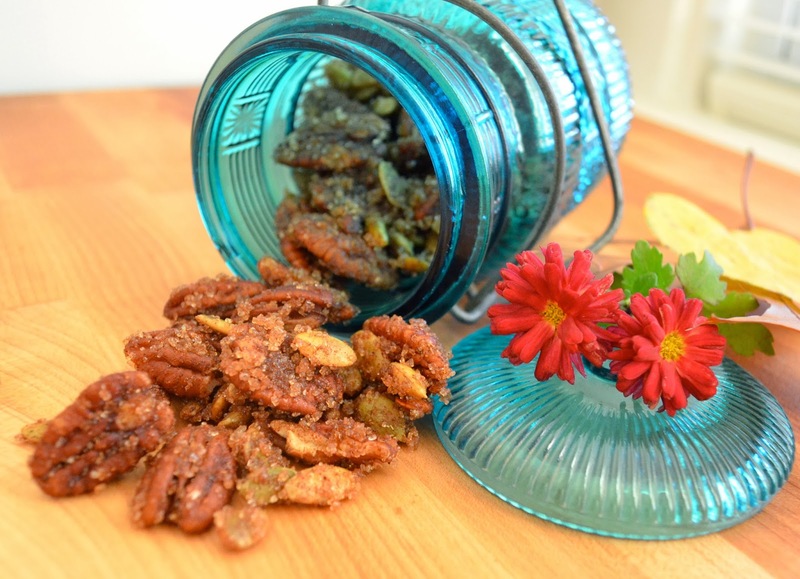 Turn off the heat, add the nuts and toss to coat them thoroughly. Dump the sticky toasted nuts into the bowl with the sugar and spices and toss to coat well. Pour them back onto the parchment-lined cookie sheet and let dry at least 30 minutes. They will store for a couple weeks just fine (if they last that long! ).